Elle UK stops social traffic with the cutest bunny rabbit EVER! Stop what you are doing right now and take a moment to take in this extreme moment of cuteness. Elle UK stopped us all in our tracks today with the posting of the most adorable bunny rabbit in existence (no offense to bunnies the world over). 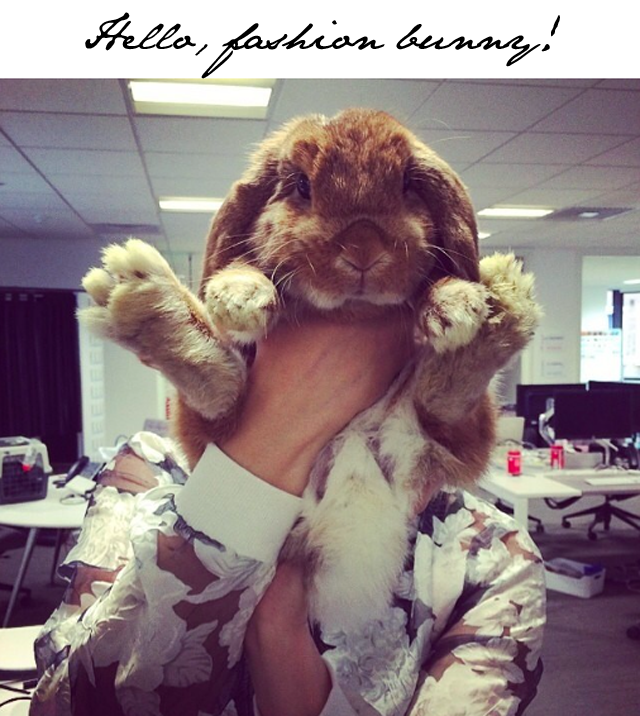 Apparently one of the Elle Fashion Assistants believed it was "bring your bunny to work day." And oh what a day it was because of the arrival of the fashion bunny. Truly there is no fashion news here, but it was too cute not to share. Elle... we feel a bunny instagram account brewing. Let's make this happen.